A taste of the winemaster's finest art awaits you at the Oldest Winery in East Tennessee. Mention fine wines to anyone who has ever traveled to the Great Smoky Mountains and they will tell you about the Smoky Mountain Winery. Since opening our doors, we have produced wines which have received hundreds of regional, national and international awards. Our dedication to making great wine and customer satisfaction has been, and continues to be, the driving force behind our efforts at the Smoky Mountain Winery. 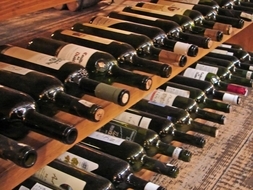 Enjoy a FREE taste from selections of over 20 award winning wines available in our tasting room. Also, the Winery Gift Shop offers a unique and interesting shopping experience. So come join us for a GRAPE taste! Copyright © Smoky Mountain Winery All rights reserved.